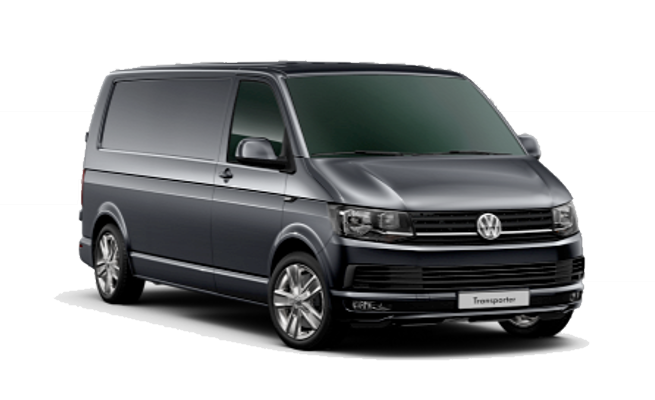 Volkswagen’s T6 Transporter may look very similar to its predecessor, but with 2 million of the last generation T5 vans sold, and more than 12 million Transporters registered in total over the last 65 years, VW can be forgiven for taking a conservative approach to restyling. However, behind the sharper lines, sparkly headlights and chiselled bodywork, there have been some major updates. As a result, it was named our Van of the Year at our 2016 New Car Awards. The biggest news is the introduction of Euro 6 diesel engines, which become standard in September 2016 to comply with european emissions legislation. 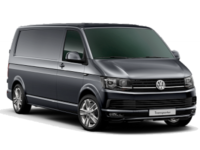 The van also benefits from much of the latest technology seen in VW’s cars, with Active Cruise Control (ACC), Lane Change Assist, Automatic Post-Collision Braking and High Beam Assist all making an appearance for the first time in the firm’s most popular light commercial. 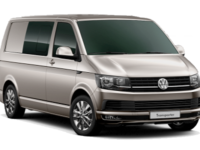 PANEL VAN & KOMBI VANS AVAILABLE.